This project came to us via Qualitas Construction. 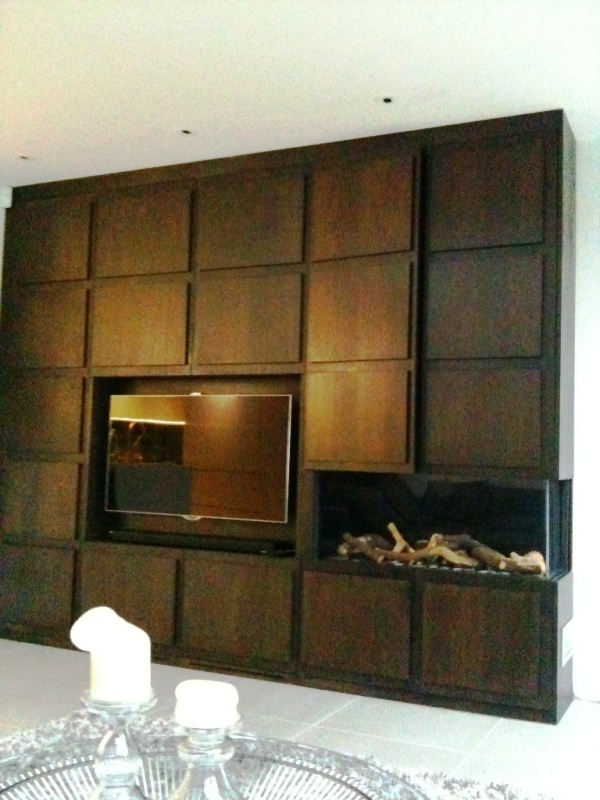 An interior designer asked us to put in a fireplace as part of a wall unit he was designing. Our task was to install a Faber Duet L gas fire with a balance flue rising up 4 metres before turning 90′ and coming out of the wall. The Faber Duet is a large frameless corner fire. 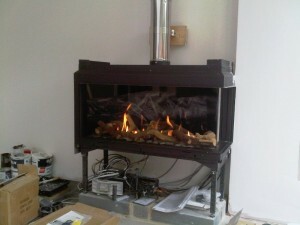 Frameless to give a superb view of the realistic flames. Once we had completed the installation and tested the fire worked perfectly, the interior designer then created a beautiful unit for his client. Adhering to all the requirements on combustible materials and ventilation. 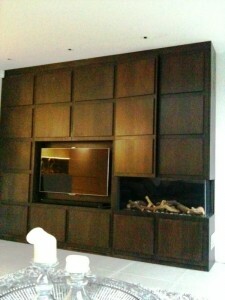 The final result is a modern wall unit with a super chic fireplace feature. 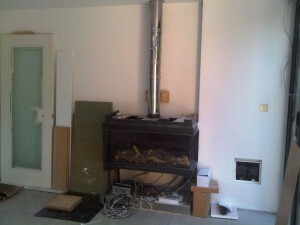 View another Faber Duet L gas fire installed by The Billington Partnership.